Totes objective answer: Most beautiful comic book character? 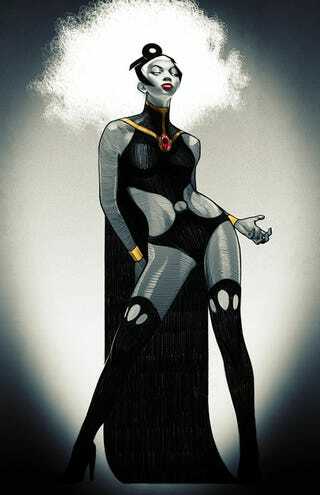 For me, it's pretty much always been Storm. I think her story is beautiful, I think she should be drawn exquisitely (needless to say I'm in the throes of trying to do even the humblest fanart job right now), but just everything about her, to me, demands and states beauty. Who's your most beautiful? She's not the only must-be-beautiful character—she's just my favourite. And there's no reason the occupier of this throne need be female. Or male.